NFA Trusts, Firearms Trusts, Title II Trusts, Class 3 Trusts are all specific types of a Revocable Living Trust that deal with the unique issues of owning, transferring, and possessing Title II firearms (Silencers, Short Barrel Rifles and Shotguns, and Machine Guns). The Law Office of David M. Goldman has Gun Trust lawyers® in Florida and maintains relationships with NFA Gun Trust Lawyers® in more than 44 states to help you create a custom NFA gun trust that deals with your families specific needs. Under the National Firearms Act, a Class 3 Firearm is defined as a machine gun, sound suppressor (a.k.a. silencer), short-barreled shotgun, short barreled rifle, destructive device and "any other weapon". Your local gun shop can help you decide if you need to register your intended purchase. When individuals purchase a Title II Firearms, the Chief Law Enforcement Officer (CLEO) or the city or county where the individual resides is required to sign a documented called a Form 4. Unfortunately, many CLEO's have been reluctant or outright unwilling to sign any request for the purchase of a Class 3 firearm. 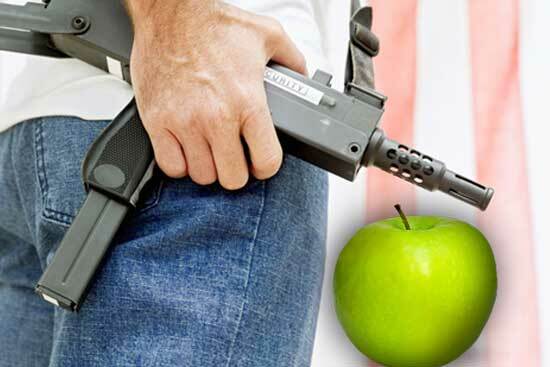 If you would like to legally purchase and own a Class 3 Firearm, a "NFA Gun Trust" can assist you with this endeavor. The "Gun Trust" actually will purchase and hold title to the restricted firearm or gun. The NFA trust is not required to submit fingerprints nor seek the approval of the local chief of police. Instead the federal government will verify and investigate the application. "Gun Trusts", are sometimes refereed to as a Firearms Trust or Firearms Revocable Trust. A Gun Trust, Limited Liability Company (LLC), or Corporation is a legal entity established under state law. Many individuals prefer the Revocable Gun Trust over a Corporation or LLC because the NFA Trust is less expensive to operate and provides privacy. A Florida businesses will typically spend $150 a year on state filing fees. Additionally there are the costs of an accountant to prepare and file the federal filings. Florida trusts do not require any disclosure or public filings. 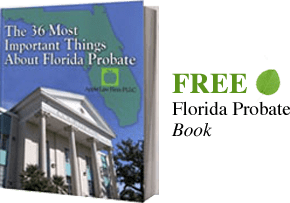 As a result of the private status of a Florida Revocable Trust, the only people who know the terms of the trust are those you choose to tell or provide a copy of the trust documents. A firearms trust should also give the Trustee special powers and instructions on how to deal with unplanned events. Assets in a Firearms Trust cannot be distributed like other assets upon the incapacity or death of the Grantor or Settlor. The Trustee or successor trustee must look at the asset, determine the capacity of the beneficiary, what state and local laws apply to the individual, the federal laws and many other factors to properly distribute the assets. Without the guidance contained in the NFA trust, it would be very difficult to prepare a trustee for their duty. One needs to be careful when reviewing information dealing with revocable trusts for NFA purchases. Each state has different state laws, and local ordinances. We have seen much information on the Internet that is inaccurate. A properly created trust for obtaining and holding Firearms is a complicated document and you should have it prepared and explained by a licensed attorney who can review any trust prior to the acquisition or transfer of regulated firearms. Our lawyers are pleased to offer clients legal expertise in all aspects of living trusts including those dealing with Firearms regulated by the National Firearms Act. We understand that the right to bear arms is a constitutional right that is not absolute under current state and federal laws. In order to comply with state and federal laws, we can assist you with a Gun Trust or other entities. See Florida Gun Trust or National Firearms Trust for more information. Please CONTACT US ONLINE to meet with one of Law Office of David M. Goldman PLLC Florida Estate Planning Attorneys to help protect your family and their assets.